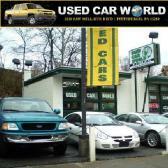 At Used Car World and Used Car World of West Liberty Avenue, we are experts in financing the "un-financeable". We have been in the business of second chances for over 20 years. We partner with multiple sub-prime lenders to find a car loan that will work with any situation. If all else fails, we offer Buy Here Pay Here guaranteed financing with no credit check to ensure that every customer has the ability to get a car. Fill out a credit application on our website. We guarantee a preliminary answer by email within 10 minutes! Our staff are experts at financing those with bad credit or no credit. Come and see one of our credit experts today and drive away! Dan Reese has been in the auto sales and auto financing business for over 25 years. He manages our financing at both our Saw Mill Run and West Liberty Avenue stores. 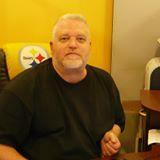 He has worked with many dealerships in and around Pittsburgh. He has an extensive history with sub-prime lending companies. Come see Dan today! Or give him a call at 412-882-3123.